I can imagine seeing the back of pink being a reason to celebrate! WOW! That's gorgeous! Can you imagine how spectacular the room could be using that as inspiration? Sorry to hear about bit owlet. 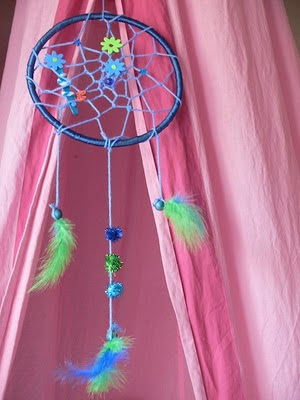 The dream catcher is lovely, hoping it is helping.